Ten years have passed since the start of this long adventure, called A taste for skiing. Since 2009, this event has involved numerous Italian and international Michelin-starred chefs, starting with Norbert Niederkofler (St. Hubertus Restaurant at Hotel Rosa Alpina, 3 Michelin stars), the one who created this successful initiative in the first place. Each chef will be representing a different edition of the event in order to also remember the various themes over the years. 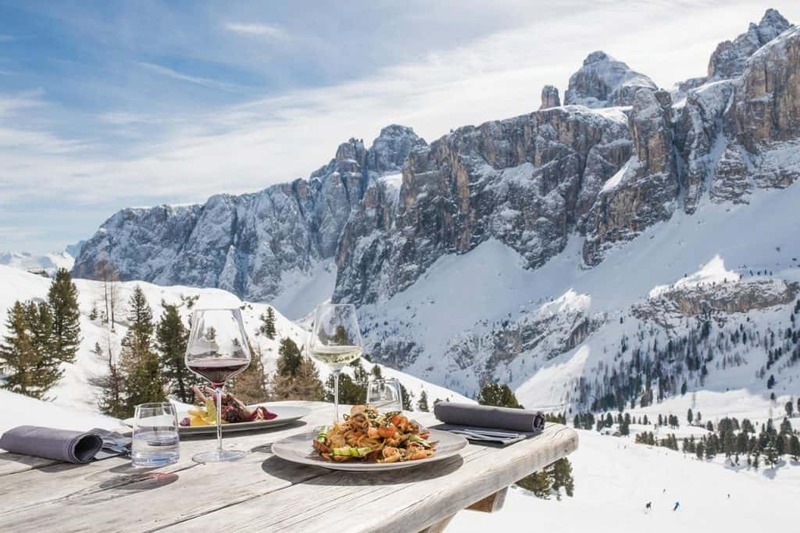 The concept remains the same: each of the ten gourmet chefs will be assigned to a mountain hut on the slopes of Alta Badia, creating a recipe that will be offered to skiers throughout the winter season. Each chef will represent a different edition of the event and will create a recipe according to the motto #skitheitalianway. In fact, the chefs’ recipes will represent the authentic nature of Italian cuisine and Italian ingredients, using incredibly high-quality products. Each dish will be paired with a wine from South Tyrol, carefully selected by an expert sommelier from the same area, creating incredibly special and original combinations.